Karenna Gutierrez books NYC student film! Hailey DeStefano books a guest starring role on The Unbreakable Kimmy Schmidt! Star Maker Students appeared on NBC's Today Show in January 2018 with Kathie Lee and Hoda Kotb! Go EAGLES! Maggie (Delaney) Dean's episode on Investigation Discovery aired! ...and she made the trailer! Lila Pfefferle booked Golden Corral Commercial! Big Congrats, Lila! 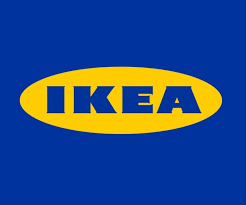 Congratulations to Justin Lopez on his recent IKEA Commercial running on National and Cable Networks this holiday season 2017! Congrats to Lila Pfefferle on her Goldman Sachs Radio Spot! Congratulations to Pam Dean on booking the Amazon Series, Sneaky Pete starring Margo Martindale! Ryan Apgar will be appearing on Investigation Discovery Channel this Sunday! Tune in or set your DVR this Sunday, February 26th at 10 pm to see Ryan on Investigation Discovery (ID) Channel in "Evil Lives Here" Season 2, Episode 7 titled, My Brother's Secret. Andrew Plinio appeared as Billy in HBO's "The Young Pope" February 12th! Big congrats to the Apgar boys!!! Ryan Apgar books Investigation Discovery Channel's Episode #07 "Evil Lives Here" airing this February 2017! Alex Apgar books online commercial for Kidzlane Toys after his mom attends the pro-Kids Seminar and takes the reigns to get her boys working! Avery and Hudson Boarts gain professional representation in NYC! Echo & Sophie Picone are guests on the Dennis & Judy Show on 101.5. Echo Picone & Sophie Picone are finalists in the Big Joe Henry 101.5FM Jersey Talent Competition! Star Maker Standout student, Hannah Bonnett is signed to professional representation in NYC! Echo Picone wins a spot singing the National Anthem at the Somerset Patriots Game performing on July 19th! Star Maker standout student and LBC Talent client, Lauren Medina is signed to professional representation in NYC! Lila Pfefferle books Samsung National Commercial! Star Maker standout, John Paciga gets signed to Professional Representation after less than 6 months at Star Maker! Congratulations, John! Andrew Plinio booked the new HBO series, The Young Pope starring Diane Keaton and Jude Law. The TV series is being directed by Paolo Sorrentino and is shooting in Rome. The series is rounded out with a slew of top international talent! Cameron Clifford is headlining in On Golden Pond at the Bucks County Playhouse beginning July 10th! Don't miss this seasoned and award winning stage performer working the boards so close to home! Click here for Tickets to see Cameron. Echo Picone books national commercial for CHEX! Justin Lopez books commercial for IRobot! Congratulations to student, Grace Greisler who was recently signed to Professional Representation in NYC! Go get em, Sophie Picone who booked the lead role in a commercial for 'Band Aid' brand!! Congratulations to Justin Lopez who booked an On-Camera Public Service Announcement in NYC! Live on the Radio, Leesa Csolak and Kevin Csolak share info about the professional performance industry for youth on January 5th and then again with Trapper Felides and Sarah Flaim and her mom, Arlene Flaim sharing info about the process of auditioning for college Musical Theatre programs on January 7th. January 12th, hear stories from 3 broadway kids and their parents about what it is like to be away from home and school and in a professional Broadway Show and on tour; meet Cameron Clifford, Matt & Angela Clifford with Kevin Csolak and Keith & Leesa Csolak and Andrew Plinio. Thank you Victoria & Rosalind from WDVR! Sophie Picone books voice over for feature film! Kevin Csolak books co-starring role of Spencer Schofield on Mysteries of Laura for NBC Channel 4, Episode #113, The Mystery of the Deemed Dealer. Justin Lopez is signed to professional representation in NYC! Mason Fleisher just finished shooting the film, Geezer with Billie Joe Armstrong of Green Day! October 2014: Lila Pfefferle and Briana Krauchuenas book Saturday Night Live! October 2014: Cameron Clifford books the Lab Production of First Wives Club! September 2014: Andrew Plinio books the lead role of Patrick in Radio City's Christmas Spectacular Touring Company! August 2014: Staff member and former student, Megan Gecik becomes a Radio City ROCKETTE! July 2014: Briana Kraucheunas is signed to Professional Representation! July 2014: Charlie Jones books the role of Chip in Beauty and the Beast Touring Company! Paris Bozzuti is signed to Professional Representation! Echo Picone is signed to major bi-coastal agency! Mason Fleisher books National Commercial for Campbell's Soup! Katelyn Hughes, Melissa Hughes, Brooke Hughes, Matthew Hughes and Ryan Hughes, Caroline Luckstone, Andrew Petrone, Elizabeth Petrone, Lena Petrone and Hayley Stricker all book Independent Short Film, Recursion, starring Rob McClure (Chaplin, Avenue Q)! Mason Fleisher invited to audition for the Broadway Show, Disney's 'Lion King' after lesson at SMS with NYC based vocal coach, Trapper Felides! Echo Picone shoots first commercial for NU Smoothie! Laine Kowalski books Samsung Commercial! Jeremy Bonnell booked a Shoprite Commercial, National Geographic Episode and the lead in a Japanese Television Show...the kid is on fire! Congrats Jeremy! Kudos to Trevor Kaminski for his featured background role on Boardwalk Empire in Episode 306 last night Sunday October 21st on HBO! Kevin Csolak guest starred on CBS's Blue Bloods on Friday October 12th as Luke Ryder! Congratulations to Jeremy Bonnell on his featured extra role on Boardwalk Empire Episode 303! Kevin Csolak debuts as co-starring recurring role of Willie Thompson on Season 3 of the Emmy-Winning HBO Drama, Boardwalk Empire, on September 23rd. See Student Matthew Eckhardt in ToysRUS ads in stores and online today! Trevor Kaminski performs in viral video for JEST's One Direction parody Video! Cayla Rae Pavol books Tuft's Healthcare Commercial! Star Maker dancers and choreographers rocked the arena at the Prudential Center! Great Job, guys! Thank you Madison Square Garden Entertainment for inviting us to perform again for the WBA! Thank you Kevin Csolak and David Gamboa for the amazing choreography! Lilly Walsh books promo for The Next Big Thing, NY for the Oxygen Network! Staff member and alumni, Kurt Csolak books the 135th Anniversary Gala at City Center! Trevor Kaminski books dance Commercial for State Farm! Savannah Fleischer and Mason Fleischer gain professional representation in NYC! Jeremy Bonnell books Boardwalk Empire! Matthew Eckhardt booked EDU Science Print; look for his picture on the boxes of the new EDU Science Telescope. Jeremy Bonnell books Chuck E. Cheese Commercial series! Kevin Csolak books role of Shane in the Feature Film, Disconnect! Sydney Eckhardt books 'Bonnie Jean' Print! Kevin Csolak books Kohls Radio Commercial! Leila Davis books 'Mercy, Mercy Me' web series. Leila Davis books Maserati Car Commercial! See Leila Davis in the recent Sesame Place Commercial running on all networks! Kevin Csolak books 'The Daily Show with Jon Stewart! Sean Pohle books Print for Johnson & Johnson! Leila Davis books Celebrity Ghost Stories! Cameron Clifford Books Television Show '30 Rock' for NBC-TV! Matthew Eckhardt books commercial for Pediacare! Kristen Hoagland books 'The Rachael Ray Show' on ABC-TV! Sydney Eckhardt, Mason Fleischer, Savannah Fleischer, Kirsten Kim, Luka Misko, Grace Walker, & Lilly Walsh book 'A Wish Come True' Print. Emelie Gavin books JC Penney Commercial! Joey Regan signed to huge professional print agency for representation World Wide! Senior & Elite Dance Company book 'New York Liberty' Basketball Game at Madison Square Garden! Emily Molter Books Knicks City Kids 2011-2012 for Madison Square Garden Entertainment! Cameron Clifford books Super Hero Music Video for up and coming, kids music band, Tim and the Space Cadets! Alexander Carr books 'Oliver' at the Walnut Street Playhouse in Philadelphia! Andrew George books Feature Film, Torture Chamber! Lilly Walsh signed to professional representation in NYC! Cameron Clifford books the Broadway Show, Waiting for Godot starring Nathan Lane, Bill Irwin, John Goodman and John Glover! Congratulations to Kevin Csolak, for booking the role of Dusty in the Lab Production of the new Broadway Show, Burnt Part Boys. Cameron Clifford books his first National Commercial for Verizon! Andrew George books the lead of Billy Sheen in the short film, Chickenpox with Kristen Stewart! Kurt Csolak books the lead role of Speed in the cartoon series, Speed Racer, the Next Generation for NICKToons! A Wish Come True choose local children through Star Maker to model for the catalog; Congratulations to Julia and Nicholas Artale, Emily Bucher, Kristina Burgoon, Avery Gebhardt, Emelin Gustafsson, Gionvanni Marinelli, Kelly Mitchell, Corinne Rosso, Melanie Sailer, Lilly Marie Walsh, Natalia Zamora and Avery Zell. Other SMS stand outs who have modeled for A Wish Come True: Madison Haggan, Amber DePaola, Kurt Csolak, Megan Baniewicz, Kevin Csolak, Hannah Balzer, and Megan McNally. New models have included; Olivia Artale, Cameron Clifford, Taylor Paige Lengen, Cayla Rae Pavol, Alex Razlowsky, Sydney Raslowsky, Emily Sparks and Dillon Spear. Also invited to model professionally in the older age groups were; Alexis Galaini, Megan Gecik, Makenzie Holmsborg, Cassidy Johnson, Brianna Mastrull, Morgan Novak, Jasmine Smith and Hayley Stricker. Kevin Csolak books recurring role of Daniel Hughes on the soap opera, As The World Turns! Kevin Csolak books role on All My Children for ABC TV! Kevin Csolak books role on CBS's soap, Guiding Light! Senior Company books Knicks/Celtics Game Performance at Madison Square Garden ~ April 6th, 2010. Senior Dance Company are the 2010 Knicks City Dancer's, 'Can You Feel the Rhythm' Dance Challenge Champions! Thank you to everyone who voted for them on line! The dancers performed halftime on Monday, March 8th to a sold out crowd. Kevin Csolak is a member of the Knicks City Kids performing at Madison Square Garden! Congratulations to Maggie Dean on her recent booking on Investigation Discovery Channel! Justin Lopez books Ring Pop Sours Commercial! Echo Picone books a role on the new animated kids show, Pinkilicious! Justin Lopez books Dareway Revolution National Commercial airing on Disney Channel and DisneyXD. Former student and staff teacher, Kevin Csolak books guest starring role on Gortimer Gibbon's Life on Normal Street Episode 218. So excited to announce that SMS Standout Student, SAVANNA FLEISHER has booked the role of Young Nala in tour of the THE LION KING! OMG we are so thrilled for this wonderful young lady and her family! Gianna Porfano books the lead role of Yonah and U/S for the lead role of Eve in the World Premiere Production of Children of Eden, Jr! Arielle Handler books the role of Snake in the World Premiere Production of Children of Eden, Jr.
Cameron Clifford moves on with the new musical, First Wives Club in Chicago, January-March 2015! Cameron Clifford books Lab Production of the new broadway show, First Wives Club! Lila Pfefferle books RAGU Commercial VO! Select members of the Pro-Kids Holiday On Tour Vocal Troupe perform on talk radio, WDVR with Victoria Davis & Rosalind Davis on The Low Down; Lilly Walsh, Justin Lopez, Jake Urban, Cameron Clifford, Hannah Mehl, Natalie Mehl, Harley Varga, Emily Decker & Echo Picone. See Kevin Csolak as Shane in the feature film, Disconnect with Jason Bateman, Alexander Skarsgard and designer, Marc Jacobs! Jeremy Bonnell books Brita Water Bottle/TV Land Commercial! Meghan Davis books commercial for Six Flags national theme parks! Selena Bianchi, Lilly Walsh and Echo Picone invited to interview at one of the top 5 talent agencies in NYC following their representative attending our last SMS Open Mic Night! Jeremy Bonnell books Commercial for Ronzoni! Congratulations to our newest professional kids, Laine Kowalski and Ethan Kowalski, Alex Kagan, Rachel, Meghan and Robby Oddy! Jeremy Bonnell books Spring Lord and Taylor Print! Congratulations to Jeremy Bonnell on his National Nutella Commercial, running now on all networks! Kevin Csolak is a cast member of Oxygen Network's The Next Big Thing, NY starring Trapper Felides! Premieres June 12th at 11pm EST. Emily Molter is cast as a member of the Knicks City Kids for Madison Square Garden Entertainment! Anthony Amorim books 2 Episodes of 'What Would You Do? for ABC! Jeremy Bonnell books Microsoft Print! Emily Molter books Knicks City Kids 2011-2012! David Gamboa, choreographer for the Knicks City Dancers and the Knicks City Kids and Kevin Csolak, former Knicks City Kid '08-'09, want to congratulate 12 year old, Star Maker School stand out, Emily Molter for her performances at the World's Most Famous Arena, Madison Square Garden, NYC. This is Emily's second year as a Knicks City Kid professional dancer! Cameron Clifford is Broadway's Fresh New Face on Broadway.com! Kevin Csolak books JCPenney National Commercial. Emily Molter books 'Little Torches' Dance Team for the NY Liberty Woman's Basketball Team! Matthew Eckhardt and Kevin Csolak book the TV show, Are We There Yet! Cameron Clifford to be Michael in Billy Elliot on Broadway! Lilly Walsh books Walmart Commercial for the Food Network! Kevin Csolak books The Late Show with David Letterman! Emily Weider books Celebrity Ghost Stories! Five Star Maker students book Live Event for Kinect for X-Box! Rachel Allen, Kevin Csolak, Teal DePaola, Kristina Lachaga & Jessie Masaitis performed in Times Square with recording artist Ne-Yo and UK rap artist, Lady Sovereign! SMS alum, Kurt Csolak also performed and was a dance captain for the event. Amazing!!! Jack Amabile books spot on Royal Pains TV series on USA Network! Megan Gecik and Kevin Csolak book Dance industrial for 'Got Milk' Olympic Campaign! Kevin Csolak books recurring role on One Life To Live for ABC/Disney! Cameron Clifford books McDonald's Commercial! Anthony Amorim books Late Night with Jimmy Fallon! Congratulations to Andrew George on his series of AT&T Commercials! Kevin Csolak books the lead role of Jamie in Cirque du Soleil's World Premiere of WINTUK! Kevin Csolak books the role of Bugsy Who and U/S for Danny-Who in the world premiere of How the Grinch Stole Christmas on Broadway! Kevin Csolak books Young Tarzan in Tarzan on Broadway at the Broadhurst Theatre! Kate Amabile books Boston Market Commercial! Jack & Kate Amabile signed to professional representation in NYC! Kevin Csolak books role of Ryan Price in the Feature Film, 'We Made This Movie' for World Wide Pants! Todd and Emily Gavin signed to professional representation in NYC! Anthony Amorim books film, White Irish Drinkers! Kevin Csolak appeared for MTV with rapper, TI in a documentary about the singer/rapper.